This is a question that we are getting almost daily now. You have the Facebook pixel installed on your site, you’re using UTM tracking parameters for Google Analytics, but the numbers just never seem to line up. So let’s dive in and explore some likely explanations for why the data you see in each platform may not be lining up the way you had hoped. More often than not, the snag comes when advertisers compare conversion numbers reported in Facebook Ads Manager to the Facebook “referred” conversions reported in Google Analytics. The majority of the time, Facebook reports more conversions than Google is showing. This causes many to incorrectly assume that Facebook is “over reporting” conversions. From what we see across hundreds of accounts, that’s usually not the case. The reality is, there could be numerous reasons why your data isn’t lining up across the two platforms. 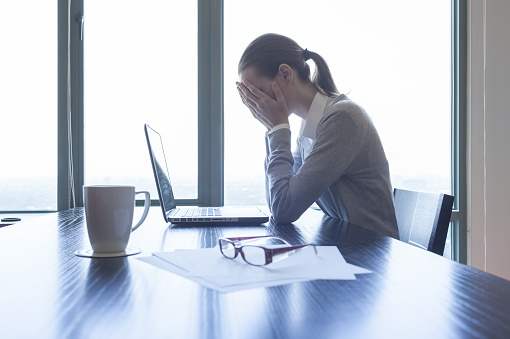 Here are the top five things that cause data discrepancies time and time again. The first potential explanation is that someone placed the conversion pixel on the wrong page or the pixel has been placed incorrectly, so Facebook is reporting extravagant conversions. 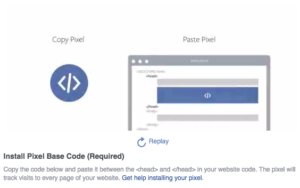 As noted in the image above, Facebook instructs to copy your pixel and paste it between the opening and closing “head” tags in your website code on the pages you want to track visits, conversions, etc. However, understand that Facebook doesn’t inherently know what a conversion or page view means to you. You have to define it for them. If you don’t or you define it incorrectly, then Facebook will report inaccurately. If you wanted to count conversions as people who clicked on your ad, came to your website and filled out your lead form then you would want to make sure that the conversion pixel was only placed on the “Thank You” page on your website that a user is directed to only after completing your lead form. That way, Facebook will know that that page is only one a user sees after successfully completing the action you wanted them to take and thus will report that action correctly as a conversion. If you use Chrome as your browser of choice, there is a great plugin that will help you troubleshoot and validate your pixel implementation. Get the Facebook Pixel Helper. 3rd Party reporting and analytics platforms, like Google Analytics aren’t able to effectively measure cross-device conversions all that well due to cookie-based measurement. Since users must be logged into their accounts to use Facebook on their many devices, Facebook can capture the same users behavior across different devices more accurately. Facebook’s pixel even has the ability to track how your audience moves across devices before they convert. Try pulling a cross-device report to see how active across devices your audience is. These three metrics are completely different things, so seeing discrepancies in your data is completely normal. The definition of these metrics is often convoluted, so let’s start there. A click is when a user clicks on an ad from any device. This click is taken to a click-through url but the action of the “click” is immediately recorded in the ad server logs. An impression is the number of times your ad appears, whether it is clicked on or not. It’s possible for people to see multiple impressions for the same ad. When the click takes place, the browser is pointed to the advertiser’s landing page. The advertiser’s website then responds to this request and starts to transfer data from the web server to the user’s browser. If any of the above are disabled, Analytics may not be able to record a session. Universal Analytics doesn’t strictly rely on cookies and users may handle client ID in their own ways. Next, the browser sends a separate request to www.google-analytics.com, the Analytics servers. Finally, a session is recorded. As a result of of that whole process unfolding before a session is actually recorded, there are several things that could lead to a discrepancy. The default setting in Google Analytics is “Last-click” attribution. This isn’t how Facebook does it, so you’re measuring things differently. Most third-party platforms report conversions where a user clicked on an ad and immediately converted. By nature of everyone being logged into their account, Facebook has the ability to track conversions across devices and also non-linear paths like when a user clicks on an ad, browses your site, left you site but returned later and converted. By default, Facebook uses a 24-hour window for views and a 28-day window for click through. If those settings don’t work for you, you can change them in the Attribution Window settings of either Ads Manager or Power Editor. Setting Facebook aside for a moment, if you are only looking at your digital advertising efforts in a last click attribution world, it is certainly time to start attributing performance across channels rather than just focusing on the last click user journey! Hopefully it goes without saying that you should be tracking all of your digital efforts by using Google’s URL Builder to add UTM tracking parameters to your campaigns. While this is best practice, it also isn’t an imperfect solution. To begin, over 50% of people browse Facebook using HTTPS as opposed to HTTP. So when someone clicks on an ad on Facebook and converts on your website, if your website in not HTTPS, the conversion cannot be recorded since the user left and HTTPS environment and entered an HTTP one. Also, if someone opens a new tab to convert later, the referrer URLs will no longer be present so the analytics tool will consider this a new sale and not attribute the conversion to Facebook. Then, there’s the problem of “sharing.” I often see things on Facebook in my news feed and I share them with friends that I think will like it too. I share them in Messenger or directly to my wall and tag friends, etc. This “tracked URL” is now out there being shared and driving traffic to your site, but the source/medium it is tracking isn’t correct. For example, I saw a post about a Ted talk that I shared with some friends on in Messenger, but upon inspection of the link to the Ted Talks site, it showed a source of “email”. Clearly, I saw it on Facebook and shared it with some more people on Facebook, but all of that traffic to the site would have been recorded to the UTM source of “email” and over reporting the “effect” of their email campaign. Discrepancies between the various ad platforms that record “clicks” and reporting you see in Google Analytics is completely normal because of the fundamental differences in each of their reporting methodologies. However, both should follow similar trends. While there will never really be a way to reconcile the differences between clicks and sessions, we can use both to gain a clearer picture of how well our campaigns are performing. And while there is no bulletproof way to set up your tracking to be flawless, we can utilize all the tools at our fingertips and with some analysis, we should be able to tell which of our activities move the needle or don’t.